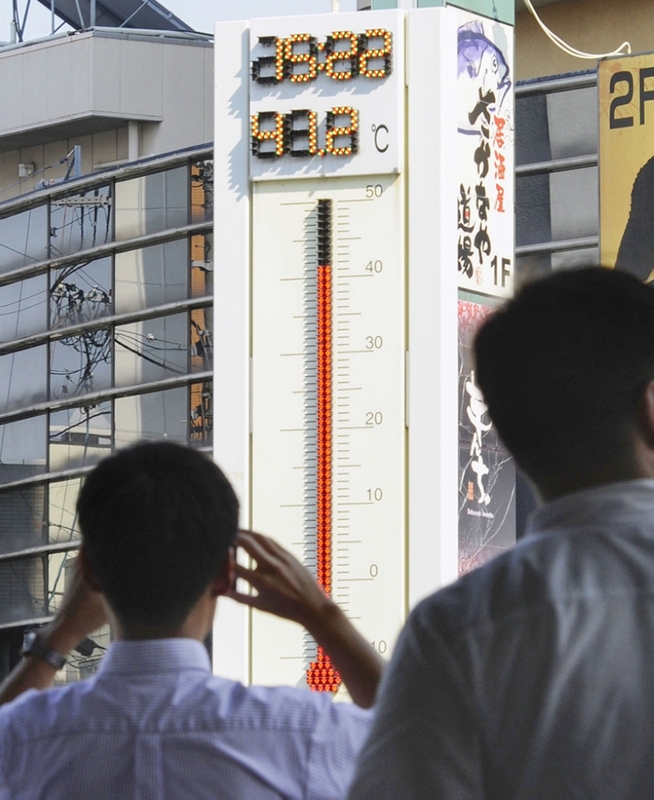 TOKYO -- Searing hot temperatures are forecast for wide swaths of Japan and South Korea in a long-running heat wave that's killed at least two dozen people. The mercury is expected to reach 39 degrees Celsius (102 degrees Fahrenheit) on Monday in the city of Nagoya in central Japan and reach 37 (99 F) in Tokyo. South Korea's Yonhap news agency says the country's highest-ever morning low was recorded in the city of Gangneung, where the temperature was 31 (88 F) at 6:45 a.m. The morning low in Seoul was 29 (84 F).